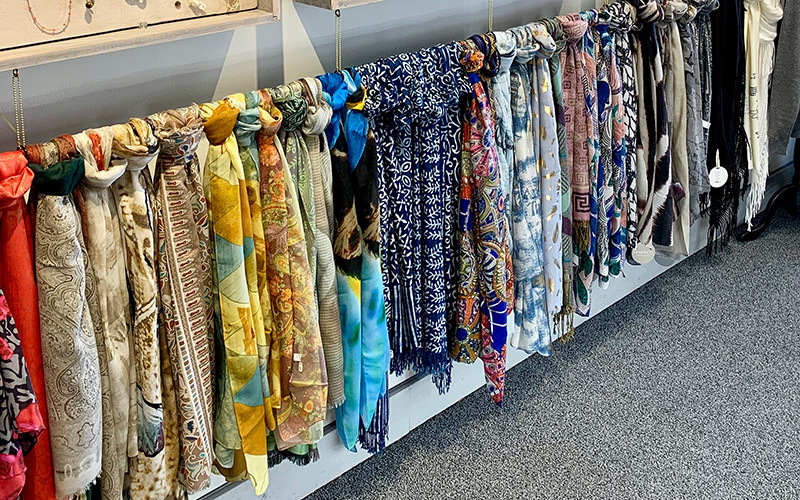 In addition to offering FREE class for kids to make a bracelet for mom, during the week of May 7-11, we are offering a scarf sale: buy a scarf for mom and get the second one half off for you! Or, you can give mom two scarves. Great selection!